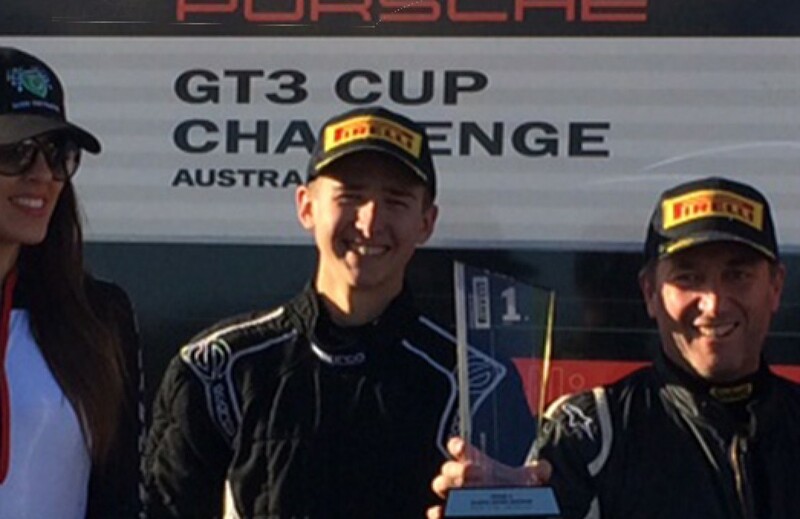 Only 3 of our 4 regular drivers were at Winton for round 4 of the Australian GT3 Cup Challenge with Grant Sparks opting to swan-around Europe in favour of enjoying a winter weekend at Winton. That left us with the fantastic trio of Scott Taylor, Matt Campbell and Tim Miles. The format of this round was slightly different with one of the races being an hour long endurance race which was held in the twilight of Saturday evening. Like the last round at Mallala, McElrea Racing Pro-Driver and current Carrera Cup Championship leader Warren Luff was on-hand to give some one-on-one coaching as part of our MR Driver Development program. 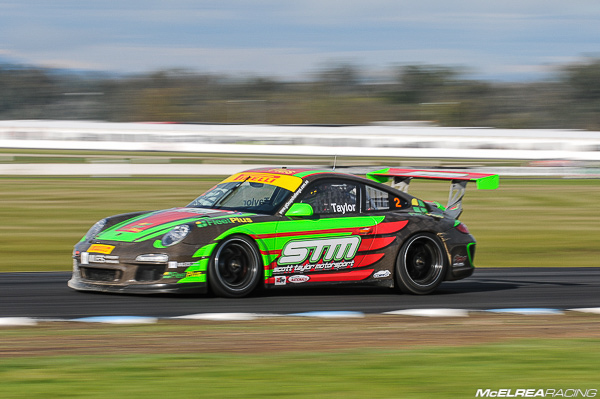 Scotty continued his improvements at Winton running in the top five during practice. He qualified 7th and finished 6th in race 1 after an eventful 40 laps. Unfortunately he was hit from behind into turn one at the start of race 2 by newcomer O’Donnell. 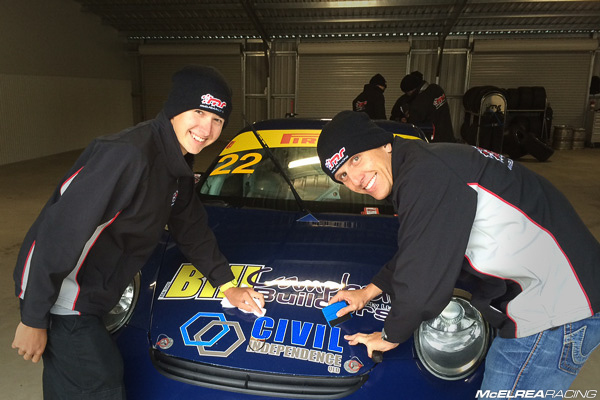 Due to a shortage of parts in the Porsche spares truck, the MR crew was unable to repair Scott’s car for race 3. 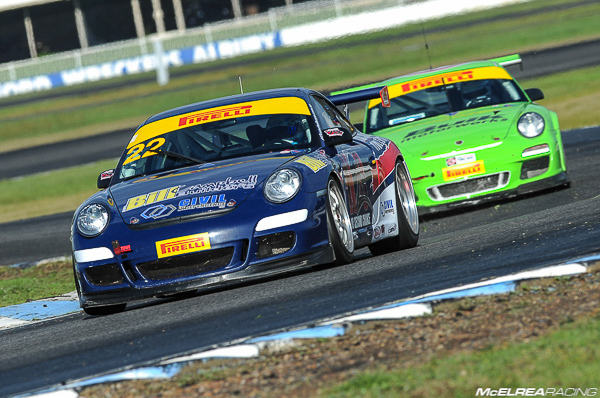 Tim Miles had a great weekend after a tough round 3 at Mallala. After a steady start to the weekend, Tim qualified 4th in B Class. However, as usual, he got his act together in the races and had a 1st, 4th and 2nd place across the three races to win his first round in the 2014 GT3 Cup Challenge Championship. A solid performance from Tim Miles winning his class for the round..!! Future star Matt Campbell was proud to bring new sponsor Civil Independence Qld on board for Winton. He once again did an exceptional job despite having a mechanical failure in race 1 forcing his first DNF of the season. In typical form Matt bounced back to finish 1st in B Class races 2 and 3. Race 3 was a sensational performance with Matt finishing 3rd outright against the newer 2011 Cup Cars. Some spirited driving from Campbell saw him lead many of the newer cars. Campbell is now on the hunt for financial backing to complete the 2014 season. 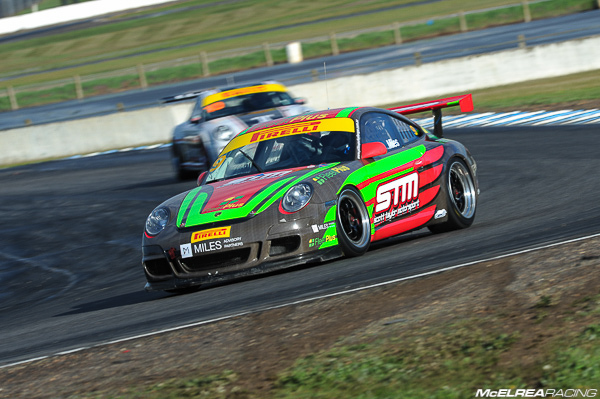 We are looking forward to Round 5 of the GT3 Cup Challenge Championship in July at our home track Queensland Raceway.